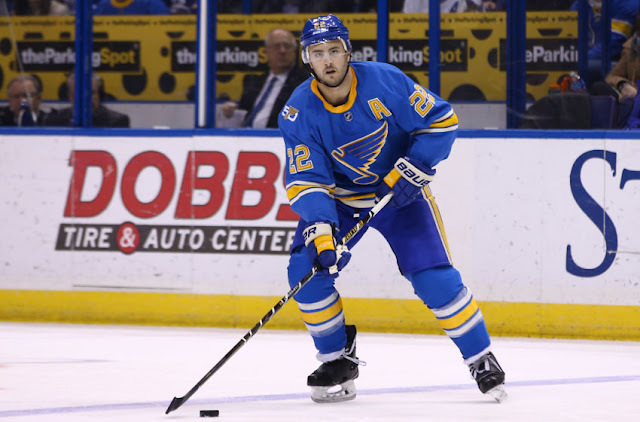 A Shattenkirk trade seems all but inevitable, teams are looking at goalies and a pair of defensemen are drawing interest in this edition of the Rumour Report. The Oilers are reportedly after a third line center and it probably isn't Martin Hanzal. Rumours have suggested Brian Boyle as a possible target, but he may not be available if the Lightning continue to win. Who else could fill that role? In a limited center market, Mike Ribeiro, David Desharnais and Patrik Berglund are names that come to mind. The Bruins may pursue goaltending help to give Tuukka Rask some rest down the stretch. Lots of goalies are potentially available, including Reto Berra, Steve Mason, Ondrej Pavelec, Michael Hutchinson, Anders Nilsson and Andrew Hammond. They might get some competition from the Capitals, who are also exploring the goalie market. The odds of Kevin Shattenkirk getting traded keep going up and up. The pending UFA blueliner has no shortage of suitors, with Boston, Tampa, Toronto, New York (Rangers), Anaheim, San Jose and Edmonton as potential landing spots. Despite being in the mix for a wildcard spot, reports suggest the Lightning may nonetheless consider trading Ben Bishop. We also know that the Flames, who almost acquired Bishop in the offseason, are looking for goaltending. Hmm. Dallas, Los Angeles and St. Louis are other possibilities. Teams are inquiring on Dennis Wideman as a depth option on the blueline. Wideman has seen his name in the rumour mill over the past few seasons, but this might be it for the Flames pending UFA. The Oilers and Bruins are rumoured possibilities. Johnny Oduya, who is just coming back from injury, is another potential trade chip for the Dallas Stars. The Stars have no shortage of pending UFAs to dangle, including Patrick Sharp, Patrick Eaves, Jiri Hudler, Lauri Korpikoski and Ales Hemsky.